Leigh Evans, (500 E-RYT), founder and director of Yoga Sukhavati, is a yoga teacher and choreographer dedicated to awakening creativity and aliveness in the body. Inspired by her studies in Ayurveda and Thai massage, Leigh has created an approach to yoga practice that imparts healing and transformation for specific health issues and Seasonal imbalances. Through an integration of Seasonal vinyasa yang and restorative yin practice, Leigh’s classes enhance the flow of prana in the body by nourishing specific energy channels and organs. Inspired by her Insight meditation practice, she encourages the development of mindfulness through the yoga practice, inviting you to witness the shifting sensations of the body and attune to the inner unfolding of each asana. Since 1985, Leigh has practiced Yoga in the Iyengar, Ashtanga, and Viniyoga traditions in the U.S. and India. Leigh has been teaching yoga for over 20 years. 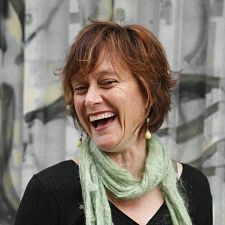 Leigh lives in New York city and teaches trainings, retreats and workshops nationally and internationally. Jo Brill began her Sanskrit studies in 2006 with Vyaas Houston of the American Sanskrit Institute; since 2009, she has taught through ASI. Currently pursuing a PhD through the University of Chicago’s Department of South Asian Languages and Civilizations, Jo has a master’s degree in Sanskrit from the University of Oxford. She also has had the good fortune of studying with wonderful teachers at University of Pennsylvania, Columbia University, Ananda Ashram, and the Vedic Chant Center. Jo was led to the beauty of Sanskrit by her yoga practice of 25 years. She trained as a yoga teacher at Yoga for Well-Being in Goshen, NY, and continues her yoga studies with Mia Azcue. More about Jo at www.yogaforawareness.org. Jason Brown, E-RYT500, LMT, has been teaching yoga since 1998. He created Zenyasa Yoga in 2007 as a way to synthesize his interests in Zen Buddhism, vinyasa yoga, and mindfulness-based conditioning exercise. Prior to opening the Zenyasa Yoga & Wellness Studio in the Fall of 2010, he taught Zenyasa at Pure Yoga, Yoga Works & Reebok Sports Club; vinyasa yoga at OM Yoga and Equinox; and hatha yoga at the Integral Yoga Institute. Jason was on the teacher training faculty at OM Yoga from 2002-2005, has taught the anatomy component of yoga teacher training programs at Yoga Works and Pure Yoga, and is the creator of Anatomy Studies for Yoga Teachers & Movement Professionals (ASFYT), a comprehensive, 108-hour course in musculo-skeletal anatomy, injury prevention, and the anatomy of yoga asana. In addition to teaching yoga, Jason enjoys offering therapeutic massage and 5-element shiatsu, studying, practicing and sharing the teachings of the Buddha, and spending quality time with his wife, Frances and their two adorable kids, Gabriel and Mikaela. Adi Carter has been a life long student of practicing yoga off the mat in all shapes and forms especially when it involves being outdoors. Her passion for movement and the environment have taken her on countless adventures around the world and she currently travels and teaches as part of the YogaSlackers & created the Redefining Balance series and retreats to share the modalities of shifting perspective through yoga, slacklining, AcroYoga, climbing, surfing, mountain biking and just about anything else you can think to do on the Earth’s terrain. Traveling & teaching often times with her car as a home base, you can find her somewhere in the vicinity of an ocean, climb site, mountain or legit climbing tree as she works with students on and off the mat to discover a new sense of balance, strength and focus in whatever their form of practice might be. Adi’s adventures and environmental awareness endeavours have been featured in The New York Times, Yoga Journal, Outdoor Japan, New York Magazine, National Geographic, L.A. Yoga, Yoga + Joyful Living, Urban Climber, elephant journal, Current TV and TIME for CNN. Find out more about Adi at www.adicarter.com and www.redefiningbalance.com. 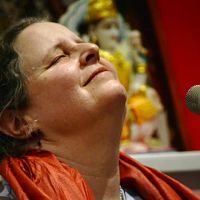 Shyama Chapin: I’ve been singing one way or another throughout my life so far, and these days I love most and best to chant the Sanskrit Divine Names and feel lucky and blessed to be able to center my days around this subtle, profound practice. I lead kirtan in New York City—my childhood hometown—and beyond; have been singing in Krishna Das’ Posse, live and on his recordings, for many years; and am featured in response vocals on a number of other chant recordings. Alongside my own kirtan schedule, I teach harmonium to accompany chant practice and community kirtan to students in the New York metropolitan area. My CD of original music, Road Songs, produced in 2003 by Bonnie Hayes, is available online, and I am working on a new chant CD, Love’s Door, to be released in Spring/Summer 2015. I’m also a long-time bodyworker/massage therapist, having practiced for many years in California, and am now licensed to practice in New York. 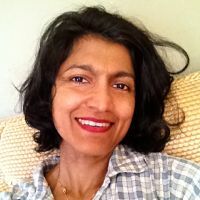 For more info about Shyama, go to www.shyamachapin.com. Lucy Child is a singer-songwriter, musician, sound healer, and reiki practitioner. She independently released her first full-length album, “Mirrors and Folly”, in 2009 with warm accolades, and has been a consistent contender in the downtown Manhattan songwriter scene. She holds a Masters degree in Education from New York City’s Hunter College. She recently graduated from the New York Open Center’s Sound and Music program, a unique training in holistic and intercultural approaches to healing the body, mind, and spirit with the transformative power of music, sound, and the voice. Lucy has studied the spiritual traditions of the Peruvian Andes shamans, and has explored Andean Cosmology in the holy mountains of Peru, sharing in sacred indigenous ceremonies led by Pacqo (carrier of the Peruvian Medicine Bundle) Adolfo Condori. It is her belief that the healing power of sound and music encourages self-realization, health, wholeness, and an invaluable sense of human connectedness. Lucy is founder of Sacred Sound Tribe. She is available for workshops, classes, and private sound healing sessions. For more info about Lucy, go to www.sacredsoundtribe.com. Amanda Capobianco’s intention as a teacher is to create a contemplative and permissive space where students can learn and practice tools that engender awareness, compassion and gratitude in a place and time often marked with chaos, stress and disorder. Having devoted herself to the practice of living and teaching yoga for over 10 years a natural doorway has opened into the realm of esoteric studies, shamanic healing and mantra. She is compelled to share what works and to encourage students to develop disciplines as a way to overcome personal struggles. Her mission is to help uplift humanity through the expansion of consciousness and heart centered living. Amanda is currently a disciple of Maestro Manuel Rufino, a recognized elder in the Taino tradition, gifted ceremonial leader and teacher of sacred initiatic traditions of the world. Her training with Maestro Manuel continues to challenge and invigorate her deep interest in living a sacred life. Amanda has traveled to India, Indonesia, Nicaragua, and Puerto Rico offering her spiritual abundance on retreats, officiating weddings, and simply enjoying the pleasures of being somewhere new and different. For more info about Amanda, www.brooklyn-light.com. Kate Henderson, LAc is a licensed acupuncturist and NYC based drummer/electronic musician, performing solo as Snaykhunt. She also works in collaboration as K0Ks with Megan Moncrief, with Pat Noecker/RAFT, and Limax Maximus with Robert L. Pepper. She was the founder of LOXM NYC, a collective of female experimental artists. Kate is currently training with the Foundation of Shamanic Studies to learn how to integrate shamanic drumming practice into her work with Chinese Medicine and performance. Kate also writes for Tom Tom Magazine. Annie Kunjappy graduated from the Natural Gourmet Institute for Health and Culinary Arts in NYC and taught in their professional Chefs’ Training Program specializing in food and healing. Her approach to nutrition and self-care is informed by Ayurveda, the Chinese 5-Element Theory and western nutritional science. She has taught seasonal attunement workshops at The Living Seed Yoga Center in New Paltz, The Yoga Room, The Breathing Project, and Yogaworks in NYC, and in The Yoga Sukhavati Teachers Training Program. She has also taught workshops at yoga retreat centers and spas, private healthy-eating classes to families, and served as dietary consultant and chef to individuals healing from cancer, auto-immune disorders, and other illnesses. While exploring the healing power of food, she never loses sight of the basic principles of joy, beauty and community. Dr. Ron Ortenberg started to study the Sanjeevan Homeopathic System of Ayurveda a number of years ago with Dr. Prasanna Paranjape, a director of the Sanjeevan Ayurvedic Clinic in Puna, Maharastra, India, and was certified as a Sanjeevan Practitioner in 2012. Since then, he has been practicing and teaching Sanjeevan Ayurveda in Boston and New York. In addition to Ayurveda practice, Ron has been studying and practicing other healing and spiritual modalities, such as Indigenous Shamanic Healing and Amazonian Herbal Medicine, energy healing and Thai Body Work, Qi-gong and Acupressure, Buddhism and TANTRA. Ron is also a Kundalini yoga teacher and has been teaching yoga and conducting transformational retreats in different parts of the world.